Paul Sylvan Newman (1924 – 1999) was born in New York City on April 29, 1924. 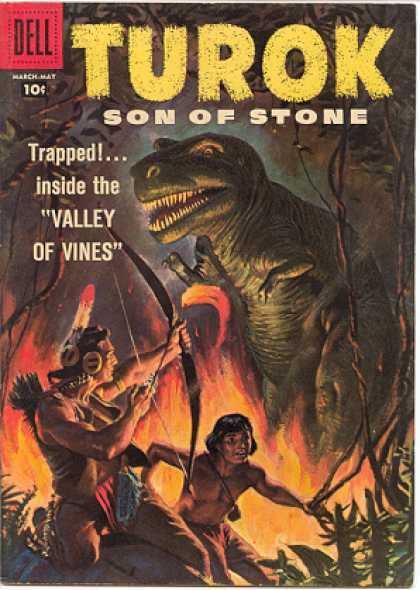 Credited in the Guinness Book of World Records as the most prolific comic-book writer, with more than 4,100 published stories totaling approximately 36,000 pages, he is otherwise best known for scripting the comic-book series Turok for 26 years. 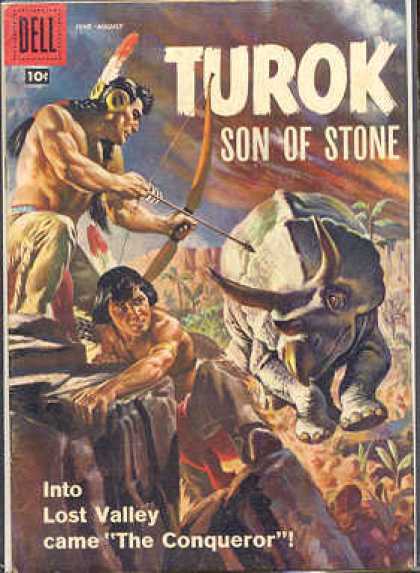 Rex Maxon started the daily black and white Tarzan strip on June 10, 1929. 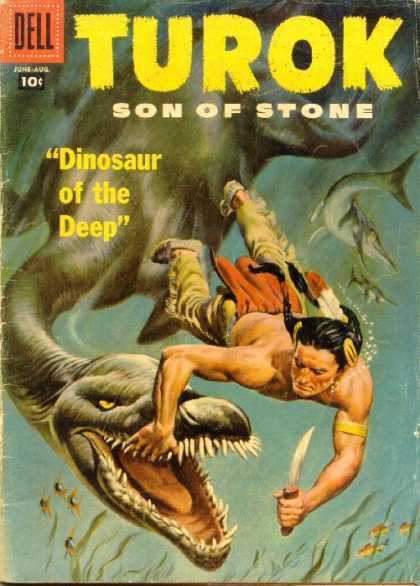 Starting in 1954 Rex Maxon drew all the interior art for the first issue of Dell's Turok, Son of Stone. 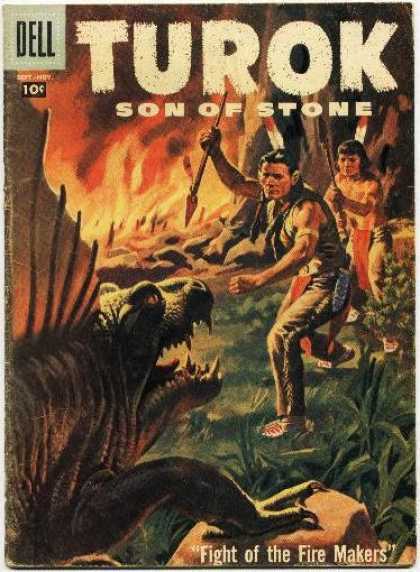 After his contribution to that first issue, Maxon's appearances in Turok were sporatic. 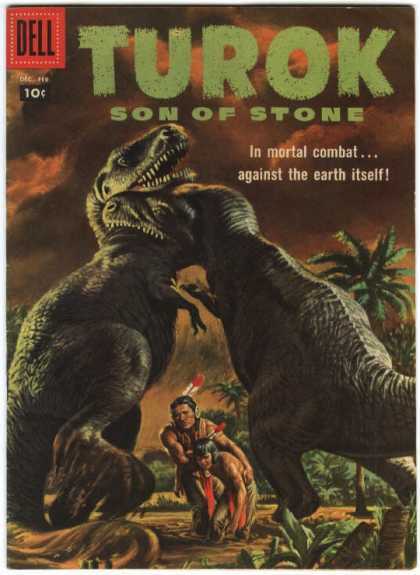 However, Rex Maxon generally contributed a four-page "educational" filler strip on prehistoric beasts, entitled "Young Earth".